Former J&K CM Omar Abdullah says PDP and BJP responsible for lack of people’s participation in elections, doubts if 2019 polls can be held in free & fair manner. 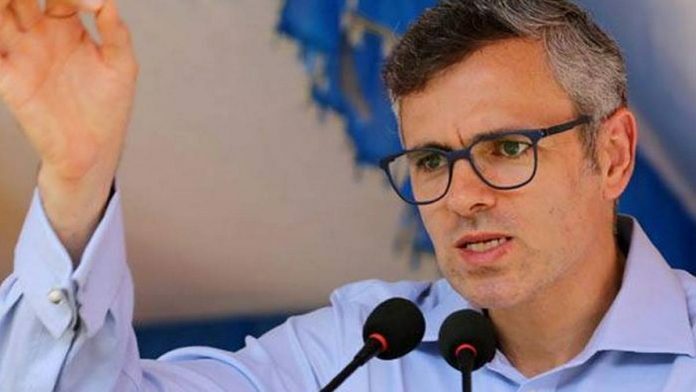 New Delhi: Former Jammu and Kashmir chief minister Omar Abdullah has hit out against Prime Minister Narendra Modi, saying he should be made answerable for the situation in the Valley, leading to the poor voter turnout in the urban local body polls. 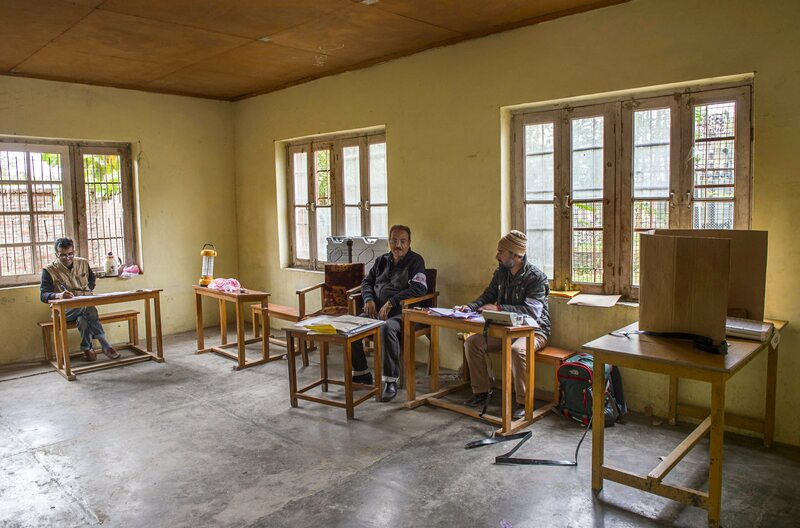 Kashmir recorded 8.3 per cent turnout in the first phase, 3.4 per cent in the second phase, 3.49 per cent in the third phase and 4.2 per cent in the final phase of the municipal polls that concluded on 16 October. “It is something that Prime Minister Narendra Modi will have to be made answerable for. You inherited a state where elections were regularly held on time and with people’s participation,” Abdullah told ThePrint in an interview over telephone. “In the 2014 election, the turnout used to be 20, 30, 40 per cent. Today, it is 2, 3, 4, 5 per cent. Who is responsible for this? Obviously, it is the government at the Centre,” the National Conference leader said. The National Conference was the first political party to boycott the local body and panchayat polls in the state, alleging Modi government’s “uncertain” stand on Article 35A, a special constitutional provision that allows the J&K legislature to define the state’s permanent residents and make them beneficiaries of government aid and schemes. While the BJP won in 100 wards in Kashmir, a first for the party, Abdullah slammed the erstwhile PDP-BJP alliance for their “failure” to instill confidence in people. “If you see the participation of the people in the 2014 parliamentary elections and assembly elections, they were the highest since the outbreak of militancy. Today, in these urban local body elections we had the least participation since the onset of militancy,” Abdullah said. He also blamed the alliance for what he called the lack of people’s participation in mainstream political activity. “One of the major changes is the lack of people’s participation in mainstream political activity. For this, one can only blame the Central government and the (former) BJP-PDP alliance,” he said. “People are now raising questions as to whether parliamentary elections and assembly elections can be held at all,” he said. Abdullah said PM Modi and his government should be made accountable for “failures” in the state. “You did not hold Anantnag bypoll for more than two years. What does that tell you about handling of the situation in Jammu and Kashmir,” Abdullah asked. The situation in Kashmir has been on the brink since the killing of young Hizbul Mujahideen commander Burhan Wani in July 2016. On Sunday, three militants were killed in an encounter with security forces in Kulgam district. Also, six civilians died in a blast following the gunfight at the same spot. Earlier this month, three NC senior workers were attacked by militants. Two of them died on 5 October. Abdullah said the BJP-led Central government is yet to see the reality on ground. “The Centre used to gives excuses like people are afraid; there is violence; there is threat. But other than my workers being killed in these elections, polling was largely peacefully and yet you have 1 per cent, 2 per cent turnout,” he said. “For some reason, the government of India is yet to wake up to this reality,” he added. He said the NDA government needed to first accept the fact that something was wrong in Kashmir and then find a solution. Abdullah said former CM and PDP founder Mufti Mohammad Sayeed’s decision to align with the BJP was a “mistake”. “We also knew this was going to be disastrous for the state… Unfortunately, Mufti Sayeed is no longer alive. Lamhon ne khata ki, sadiyon ne sazaa payee (A momentary mistake has cost us dear over the years),” he said. When asked about the cracks in PDP-BJP alliance, Abdullah said that former CM Mehbooba Mufti could have avoided the alliance proposal. “But Mehbooba Mufti compounded the mistake of her father. If she had walked away from BJP alliance after her father’s demise, her own credibility would not have been eroded and perhaps the state would have not suffered as much as it has,” Abdullah said. “They were so determined to remain in power that she surrendered everything and finally New Delhi rewarded her by sacking her,” he claimed. Of the 624 wards in Kashmir, as many as 185 are still vacant as no candidate was willing to contest the elections. A significant 231 saw a single candidate, while 208 witnessed a proper contest. BJP secured 100 seats in the Valley of which 76 were won uncontested. Questioning the credibility of the BJP candidates, Abdullah said he was not sure about how these winning candidates will carry out development work in their wards. “In a number of wards, people who are not resident of those wards have come and voted. So, I am not sure what development work they will be able to do,” Abdullah said. On the issue of Modi government’s idea to hold simultaneous elections, Abdullah said it was just speculation since the situation was not even conducive to hold Anantnag bypoll. Previous articleSmriti Irani on Sabarimala: Would you take blood-soaked sanitary napkin to a friend’s house? First you boycott the polls. then you crib about the voter turnout. What a way to democracy. Simply cannot muster courage to face the electorate as they are certain to lose it. If they were bold both Mehbooba and he would have faced the electorate.